Your dental care team at Timber Springs Dental is dedicated to providing the highest quality and most comfortable dental experience to families in the Humble, Atascocita and surrounding areas of Houston, Texas. 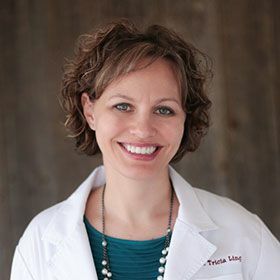 Dr. Tricia Linger is passionate about helping you achieve and care for your ideal smile in a relaxing and welcoming environment. The high standards and ideals regarding patient comfort and office organization ensures that each visit at Timber Springs Dental is a pleasant experience. The only way to provide excellent care and wonderful patient experiences is with a gentle touch, along with patient amenities that will allow you to enjoy each visit, making you look forward to your next visit. Our entire team knows that our patients are the priority; it is our commitment to go above and beyond to make sure you are comfortable and completely informed about your dental health and treatment options. Dr. Linger is a true Texan. She grew up in Austin then relocated to Kingwood in 1997 with her family and graduated from Texas A&M University as proud Fightin’ Texas Aggie in 2003. She received her Doctor of Dental Surgery (D.D.S.) degree from the University of Texas Health Science Center at Houston Dental Branch. She truly loves practicing dentistry, and takes great pride in promoting an anxiety-free experience for her patients, recommending the best treatments for each patient’s needs, and delivering impeccable service that improves her patient’s confidence in their smiles. Dr. Linger is married to her college sweetheart, Steven, a fellow Aggie, and they have 2 beautiful children, Kylie & Eric. Dr. Linger and her family, which includes 2 Dachshunds, live in the Humble area. In her spare time, she enjoys spending time with loved ones, traveling, reading, and playing board and card games.